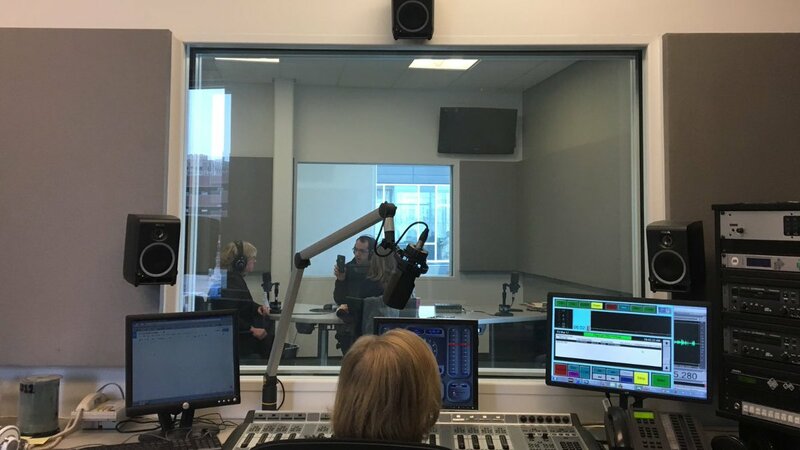 Economic Development, PDMP, the 2020 election and more - I very much enjoyed the chatting with Jason Rosenbaum and Jo Mannies in their studio Friday morning! "The session started with a bang when Gov. Eric Greitens signed right-to-work into law in early February after years of effort by Senate and House Republicans. Republicans in both chambers wasted no time in passing bills from Sen. Dan Brown and Rep. Holly Rehder. The state also looks set on adopting some form of a prescription drug monitoring program this year as well with Sen. Dave Schatz and Rehder continuing their battle against Sen. Rob Schaaf on the issue." 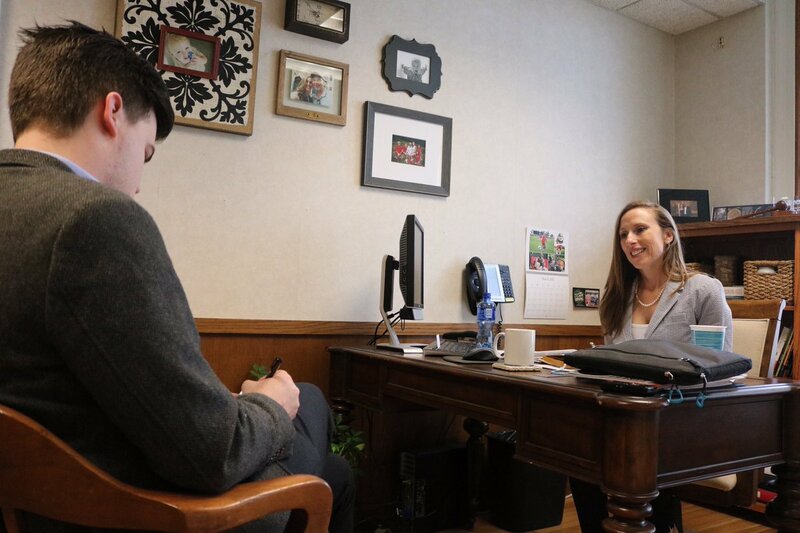 I interviewed this week with John from Columbia Missourian on the need for a statewide PDMP. I appreciate their interest in this vital topic. Columbia has passed a local ordinance for a PDMP. "74 percent of doctors said that they changed their prescribing practices based on having this information about their patient," Rehder continued. "In Florida, when they were fully implemented, 50 percent less Methadone was prescribed." Ran into hard working ladies this weekend! 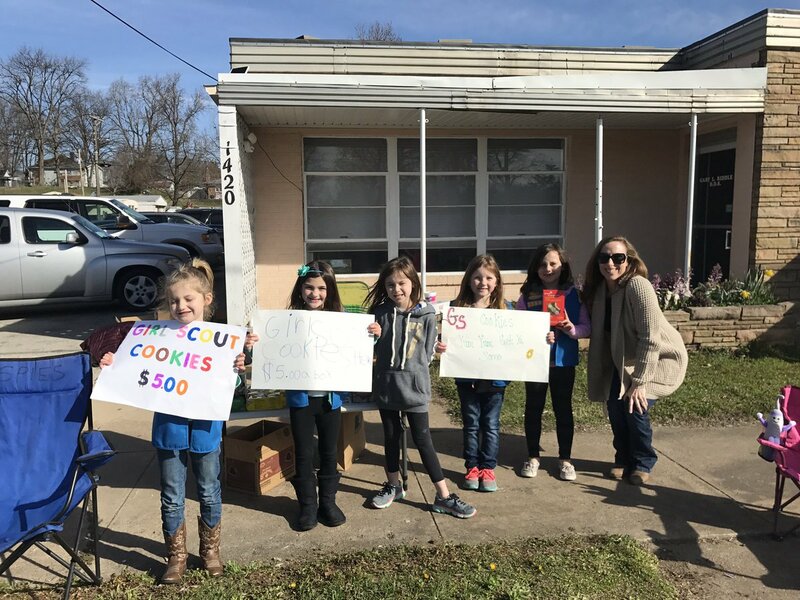 Scott City Girl Scouts...oh yes, I couldn't resist those sweet faces & cookies! The bill will only allow charter schools to expand to areas where at least one school is performing poorly. Performing poorly as in has failed two of the last three years by having a 60% or below school building grade. The legislation would increase the accountability and academic requirements for not only new charter schools, but existing ones as well. From the documentation and statistics that we reviewed while working through this bill, it was clear that we needed a mechanism in place to shut down charter schools that are not performing. If the charter underperforms in comparison to similar schools in their district for two of the past three years, they will be limited to a three year charter renewal. Then not renewed if they do not come up to passing. The legislation limits the public dollars sent to the charter schools to no more than 90% of the sending district’s tuition. The entire bill is contingent on the public school foundation formula being fully funded. 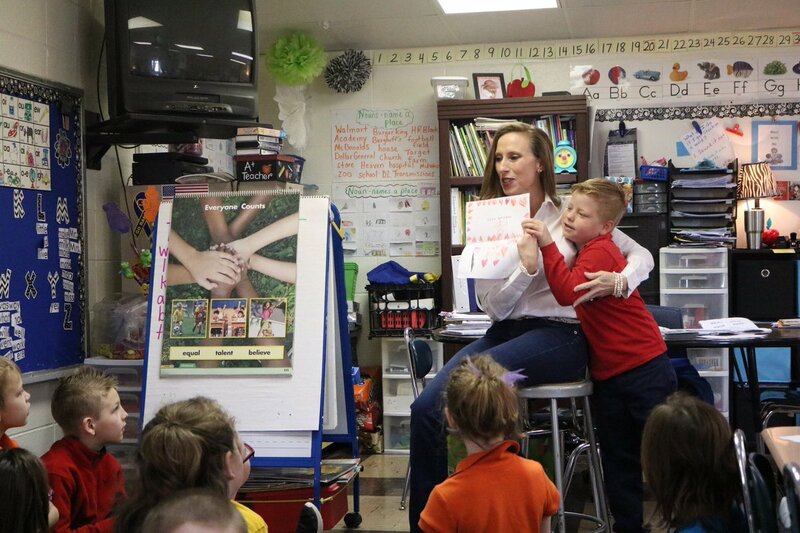 If the K-12 formula is not fully funded, then no charter school changes go into effect. This bill is certainly not perfect. I’ve yet to see one that is. But the facts are that we have many kids in schools throughout Missouri that are failing. Many are poor children destined to grow up, in America, without an education. They have no alternative right now, they will come out of their public school system and continue in the poverty cycle to which they were born. Maybe growing up in poverty and having only slim hope for a better life is not something you are familiar with. I am. However I was also blessed to be in public school systems that made a difference in my life. For these many, many children who are not blessed with adequate public schools, we must look beyond our comfort and accept some changes. The threshold for change is having a score of 60% or below two of three years in a row. We wouldn’t pass a child to the next year with a 60% or lower grade and we shouldn’t allow that to continue throughout our state for our schools either. I have been shocked by looking at the scores. It is a clear indication that we need to introduce competition into the public school system in some areas. The way to prevent charter schools from coming in is to simply pass with only a D average. Surely this is something we can all agree on. Allowing charter schools in Missouri without proper checks and balances is not acceptable either. I’m happy to see this bill now takes into account concerns from both sides of this issue. Charter schools are not the answer to every failing district and I do realize that. But they are the answer for some. To those children this very well may mean the difference between a life with potential or a life without. Those children should matter as well. The bill will now move through the senate. We will be watchful, any changes will have to come back through the house for approval. 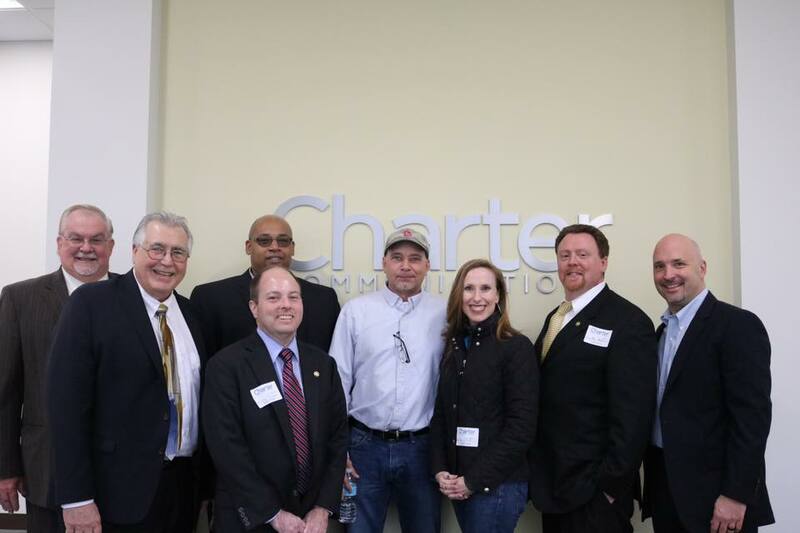 Again, the way to prevent charter schools from ever coming into the 148th district is to keep a D grade or better. I hope this information has given you more insight to what the bill contains. You can also read the bill by clicking the following link: http://www.house.mo.gov/billtracking/bills171/hlrbillspdf/0986H.04P.pdf. We continued our fight against human trafficking this week as the we approved legislation to raise the minimum age for marriage from 15 to 17 years old. Many of you may be thinking, "Is this really a problem in Missouri?". I'm so sorry to report that it is, and due to our current laws, we are a state that others come to for this very reason. We currently have a minimum age of 18 to obtain a marriage license without parental consent. Young people age 15 to 17 can receive a license with parental consent. Individuals of any age also have the option to get married without consent if they successfully petition the court to obtain a license. The legislation approved by this past week would raise the age requirement to 17. An earlier version of the bill had raised concerns that Missouri law would block a marriage and interfere in the decision of a family in situations in which no coercion or wrongdoing is present. 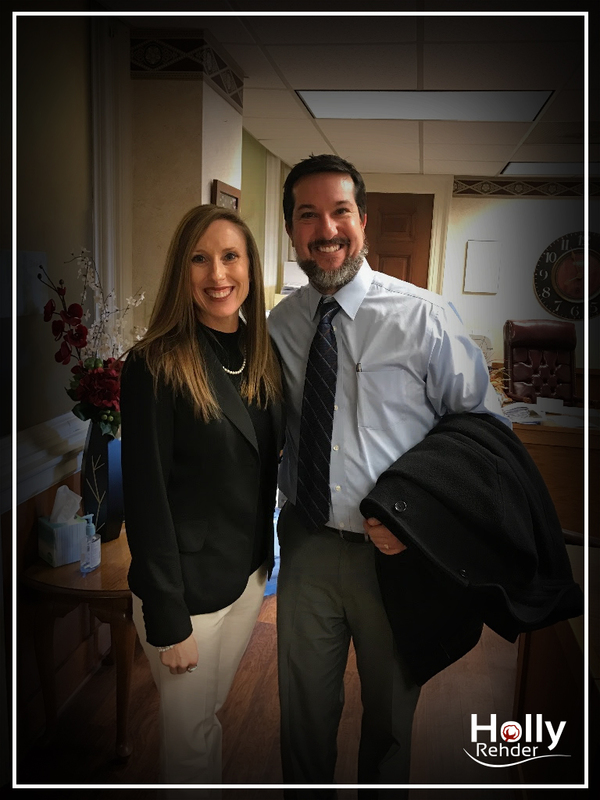 The bill’s language was changed to require a hearing before a judge, so that parties can present evidence that the marriage is advisable. The bill also includes a provision to ensure no marriage license is issued to any person 21 years of age or older if the other party to the marriage is less than 17 years of age. The goal of the bill is to prevent child marriages that are used to disguise abusive situations and human trafficking. Virginia recently raised its minimum age requirement after seeing a large number of underage girls marry men who were far older. According to one study, more than 7,300 teens under the age of 18 were married in Missouri from 2000 to 2014. Pictured with me are my colleagues Representatives Hannah Kelley, Jered Taylor, and Robert Cornejo. Stretching our legs while listening to debate gets necessary this time of year as our sessions on the floor get much longer! 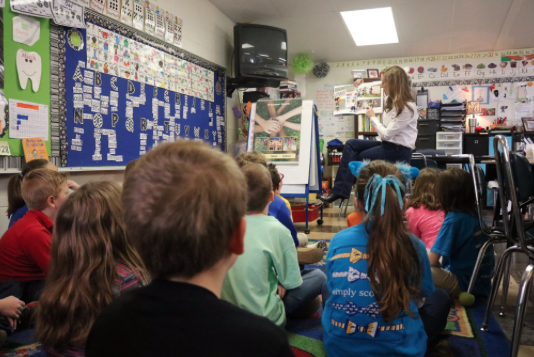 Our public schools in Missouri would be fully funded for the first time under the budget proposal unveiled by our House Budget Committee Chairman this week. The proposed spending plan would also restore a proposed cut to in-home care and nursing home services for senior and disabled Missourians. Our Budget Chairman said the 13 appropriations bills that will make up the Fiscal Year 2018 state operating budget represent the legislature’s commitment to its young people, as well as to its most vulnerable citizens. In addition to the additional $48 million that will fully fund the School Foundation Formula, our House budget proposal restores proposed cuts to K-12 transportation funding. 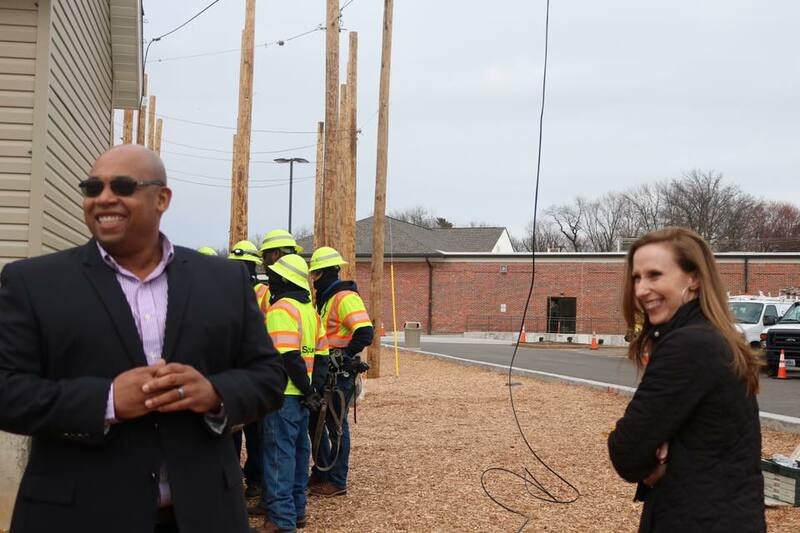 The plan also secures $6 million in funding to increase broadband internet access for our Missouri schools. Additionally, our budget plan in the House restores $21.75 million in proposed cuts for the state’s institutions of higher learning. The FY 2018 spending plan proposed by our House Budget Committee also restores approximately $52 million in proposed cuts that would have impacted 20,000 seniors and disabled Missourians who currently qualify for state-funded in-home care and nursing home services. Other notable funding decisions in our House plan include $3.5 million to fulfill the state’s commitment to the Biodiesel Producer Incentive Fund, record levels of funding for the state employee pension plan, and $1.4 million to fund a system of voter identification in our state. Our House Budget Committee will work to finalize the budget bills and send them to the floor when we resume session. The plan is to discuss the bills on the floor and have them out of our Chamber by April 6. The Senate will then have until May 5 to agree with us in the House to a spending plan and send it to the governor. Rep. Warren Love and I were happy to have Rep. Bill White's help in the middle of floor debate! An amendment was dropped and sometimes it takes multiple sets of eyes to be certain we have the full understanding before moving forward. I am very thankful and blessed. We have many colleagues that are always willing to step up and help! This is my "I'm so proud to serve with Rep. Don Rone" section! 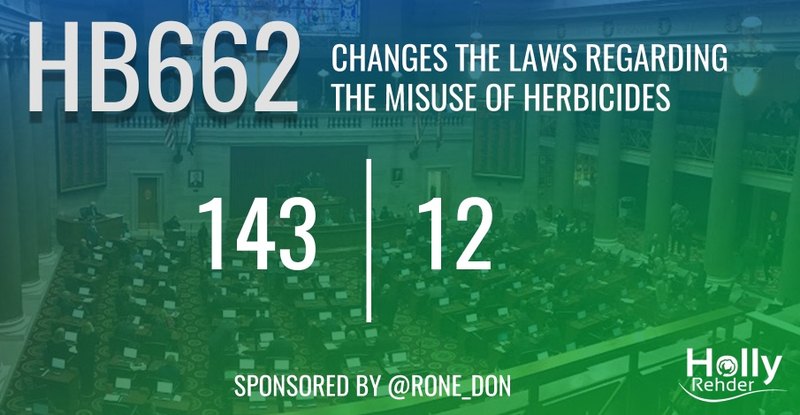 House Bill 662, Sponsored by Rep. Don Rone, is meant to stop the illegal use of herbicides. Many farmers in our region lost an average of 35 percent of their crops when neighboring farmers used an outdated Dicamba product. Wind and temperature changes caused the product to spread onto nearby fields. Because the product was drifting onto fields not planted with seeds resistant to it, those crops were damaged. At least 150 farmers were impacted by the illegal use of the product. The legislation we approved would allow the Department of Agriculture to issue a fine to any individual who knowingly applies a herbicide to a crop for which the herbicide is not labeled for use. Under current law, the fine is a flat $1,000, which we feel is not a strong enough deterrent. Under the bill, the department could issue a fine of up to $10,000 per violation when a product is spread illegally. The fine would escalate to up to $25,000 per violation for those who repeatedly break the new law. The money collected from any fines would go to the local school district in which the violation occurred. Our bill would also give the Department of Agriculture additional powers to investigate claims of illegal herbicide use. The department would be able to subpoena witnesses and compel the production of certain records related to the misuse of herbicides. Farmers penalized for illegal use would be liable to the department for its expenses and for personal property affected. The bill includes an emergency clause, which would make it effective immediately upon being signed by our governor. This week the Senate took up and passed our House legislation meant to improve the reliability of expert evidence that is presented to juries in our state courts. The bill, which is now on its way to the governor, would implement an established standard for determining when expert-witness testimony is admissible as evidence at trial. The proposed standard, which is commonly referred to as the Daubert standard after a 1993 U.S. Supreme Court case, is used in federal courts and in more than two-thirds of the states. The bill is an important component of the legislature’s tort reform efforts this year. The change will ensure that testimony from someone designated by lawyers as an ‘expert’ can be relied upon by citizen jurors. On Thursday, Tom Webb came and job shadowed me during his college spring break. Very impressed with a young man who takes his spring break to learn about our state government! 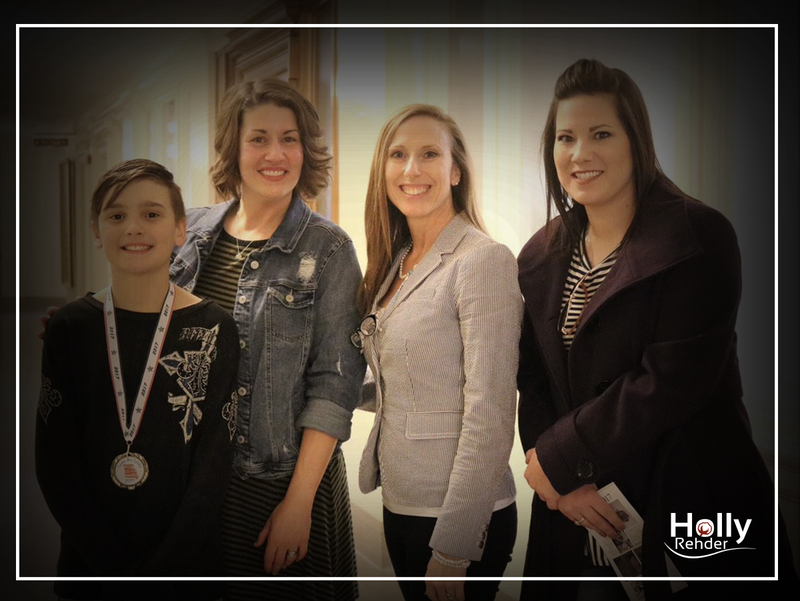 I was excited to have spent time Thursday afternoon with East Prairie's Senate Art Winner Brayden! His mom, Ms. Quaite and Mrs. Dahlbeck all joined as well. Brayden is such a talented young man....I'm sure we will be seeing more of his work in the years to come! 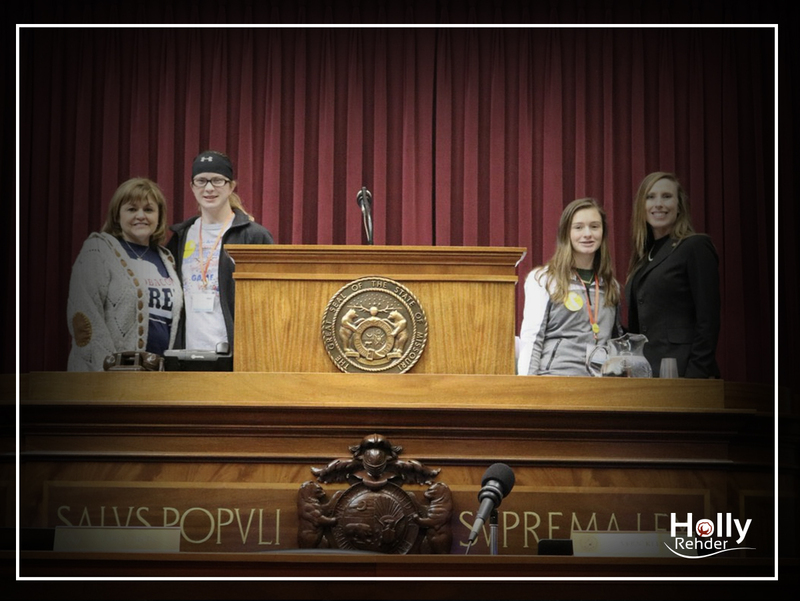 Good to see Audrey & Ashton from Sikeston High School in the Capitol this week spreading tobacco awareness to legislators! We enjoyed showing them around and am really proud of our young people speaking out on important causes! So good to see friends from SADI in the Capitol. Southeast Missouri was well represented with Ms. Janet Knous and Ms. Tameka Kyles! 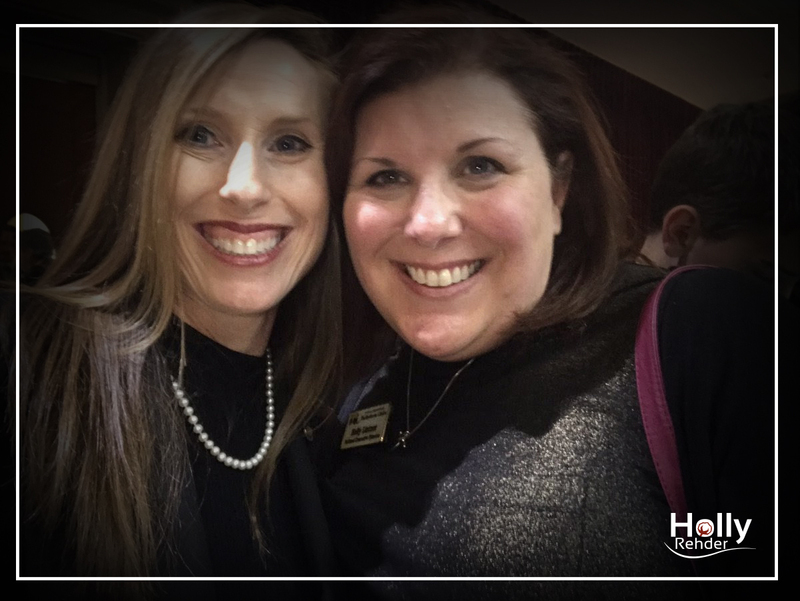 Look who I ran into on the side gallery....my dear friend Holly Lintner! I love seeing faces from home. Our area is very underfunded when it comes to children's mental health needs. Dr. David Dahlbeck is very special to many in our area, including my family. 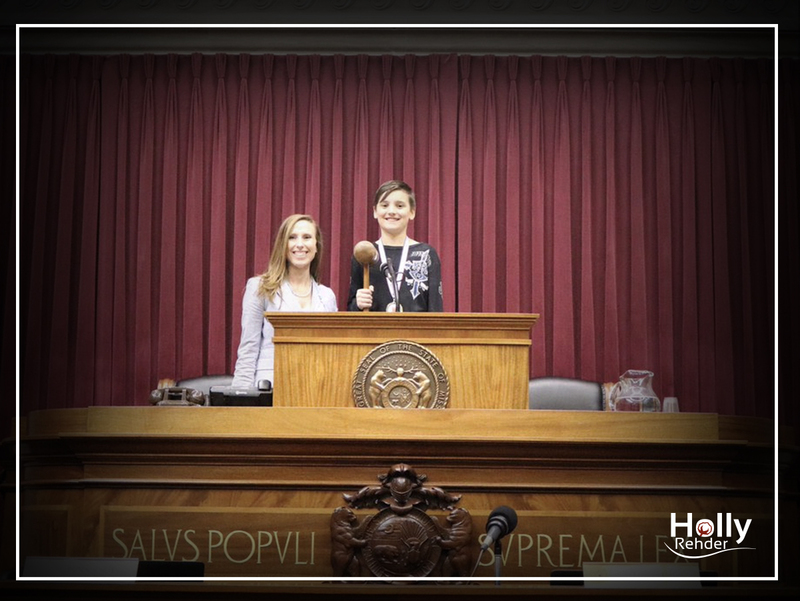 It's always a pleasure to have him visit the Capitol. 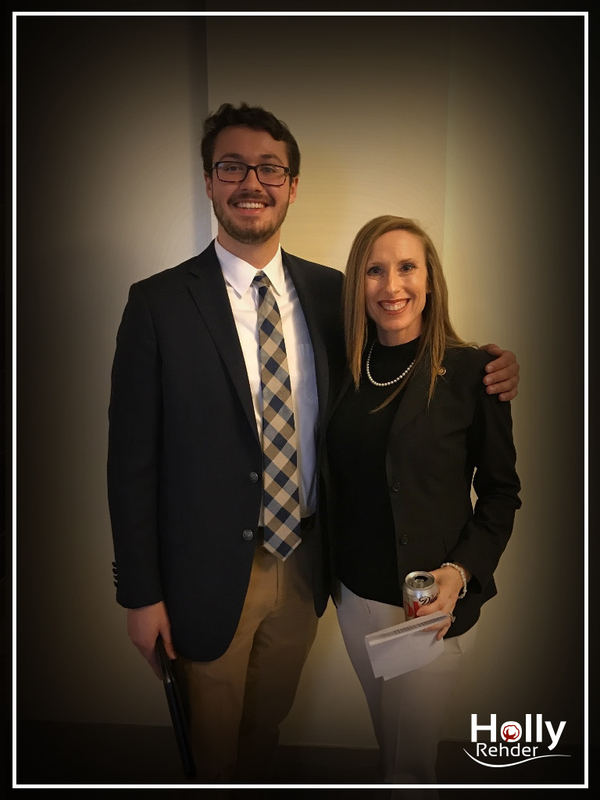 Thank you Dr. Dahlbeck for all that you do for SEMO! Our list grows every week. 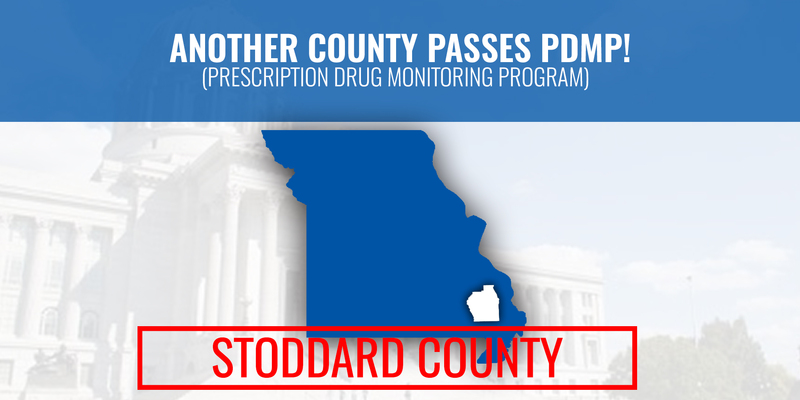 Three more PDMP ordinances have been passed in Missouri. 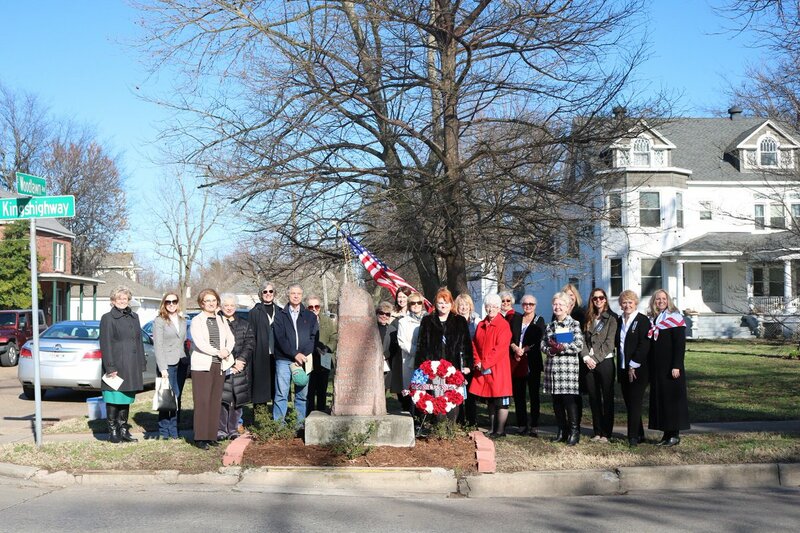 Thank you to the two Mid-Missouri City Councils for their leadership and Russ Oliver's in Stoddard County! Had a really great interview with Springfield's NPR station KSMU. 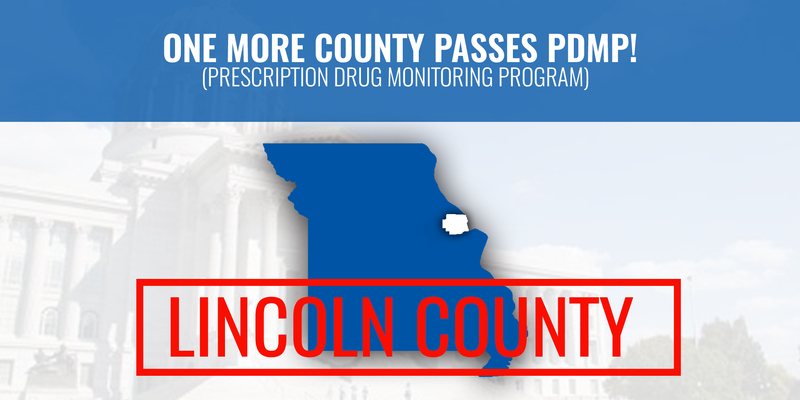 With the county push to pass a local PDMP, our momentum is growing. 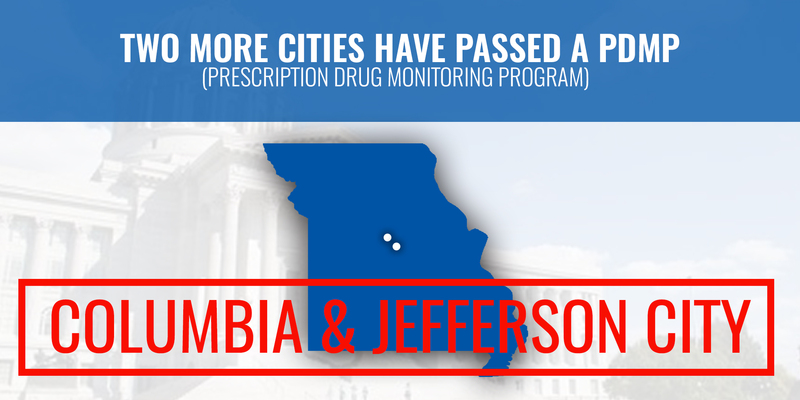 STAT NEWS: Missouri is the only state not monitoring prescription drug use. Will it finally create a database? The Senate gave final approval to Schaaf’s bill Thursday. It now heads to the House. 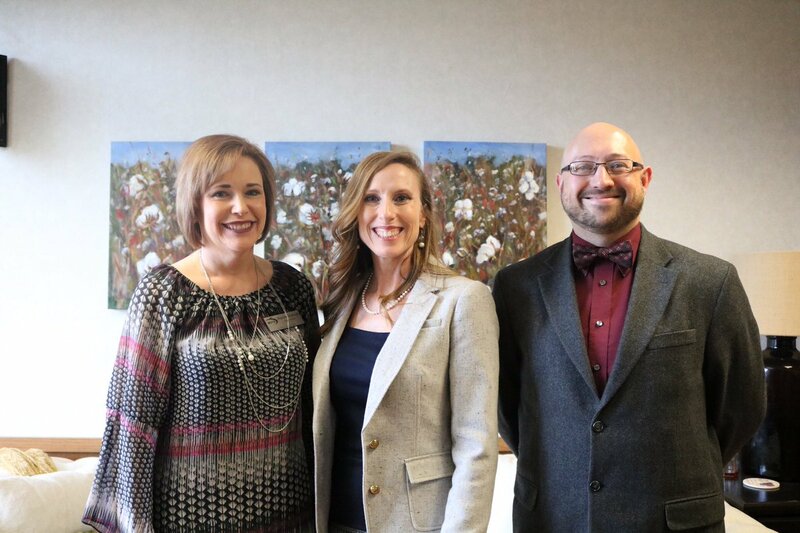 But Rehder and Speaker Todd Richardson, R-Poplar Bluff, have said they'll focus on her bill, which is backed by medical and law enforcement groups. My high for the week! Kayden was such a gentleman asking to read the "ladies" their book first! I read "Grace for President" and "Clark the Shark". Mrs. Rubel at Scott City Elementary is a gem! Raychel, Kayden and I couldn't be more pleased with her as Kayden's 1st grade teacher! 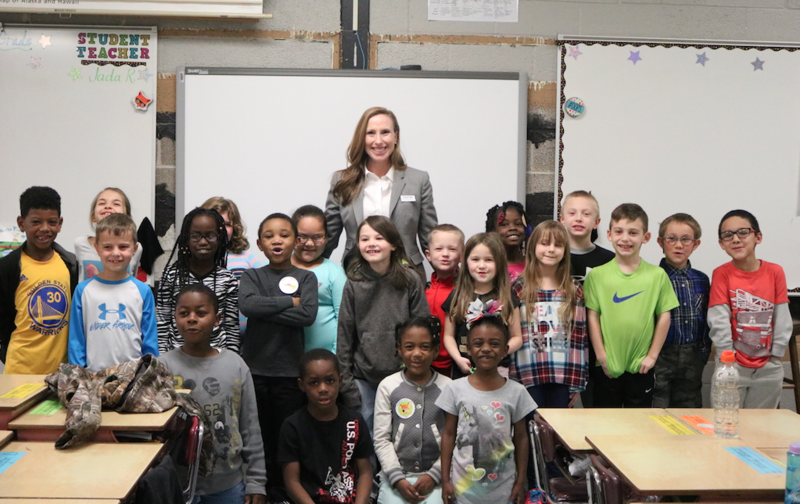 I also had a great time at Matthews Elementary for Read-in Day. It was a pleasure to read to Ms. Jones' 1st grade class. They had such wonderful manners! 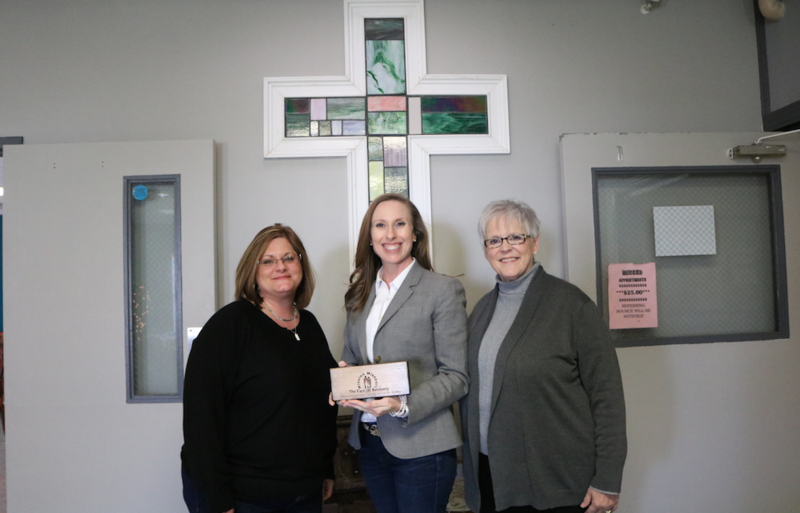 Last week I had a very nice visit with Mrs. Jane and Mrs. Lisa at Mission Missouri. I cannot thank them enough for all of their work and passion for those in recovery! It's always an awesome afternoon when I get to stop by the Knead. 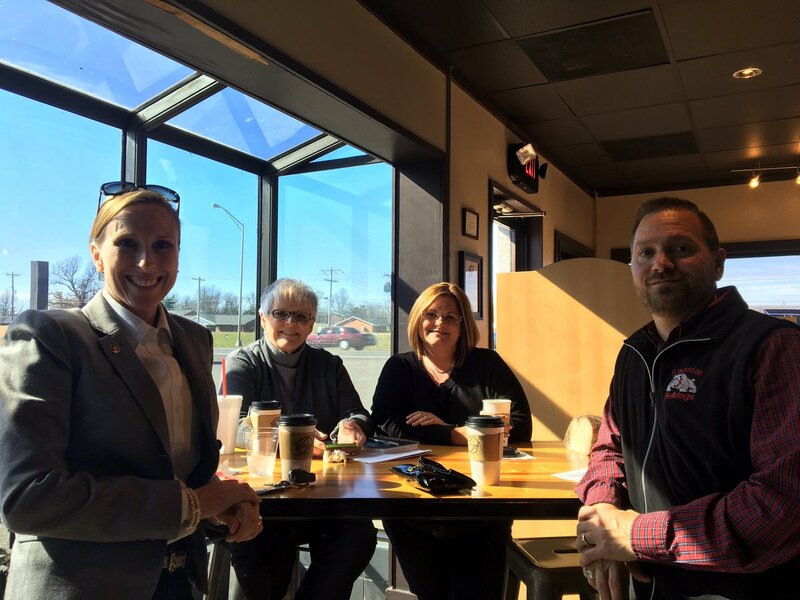 I got to catch up and have coffee with Pastor Chad, John, Lisa and Jane. 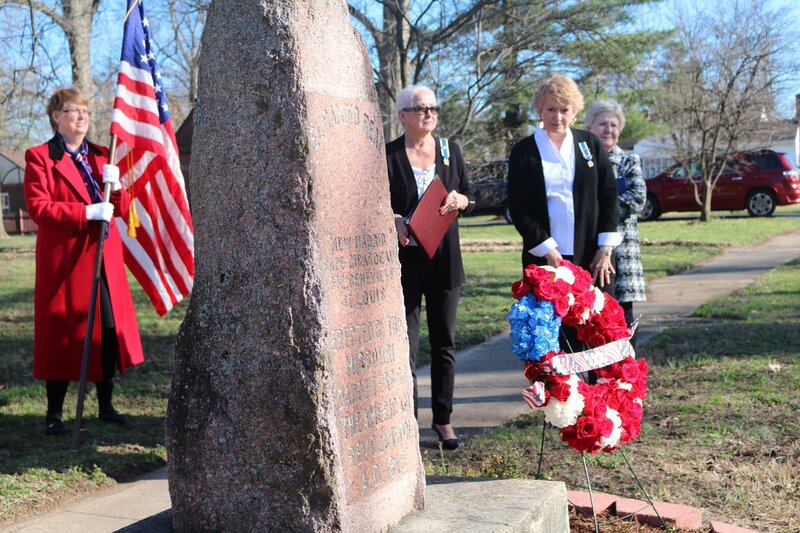 Very much enjoyed joining the Daughters of the American Revolution for the El Camino Real Marker Tour as they made their stop in Sikeston for their 100th anniversary. We have such a beautiful history here! 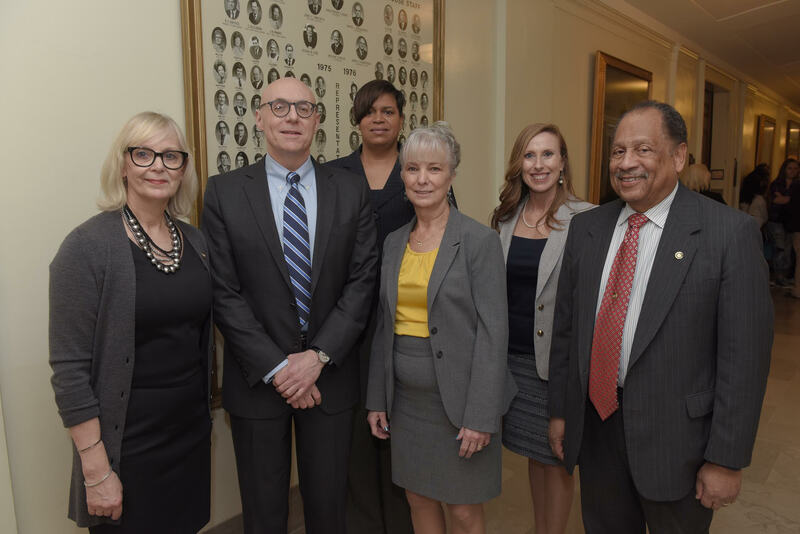 Last week we continued our tort reform efforts by passing legislation that will help put an end to “litigation tourism” and the many lawsuits that are filed in St. Louis by out-of-state parties. The bills we approved Thursday are meant to stop the large number of lawsuits filed in the state by people who live outside Missouri, who are alleging injuries that didn’t occur within the state’s borders against companies that are not from Missouri. 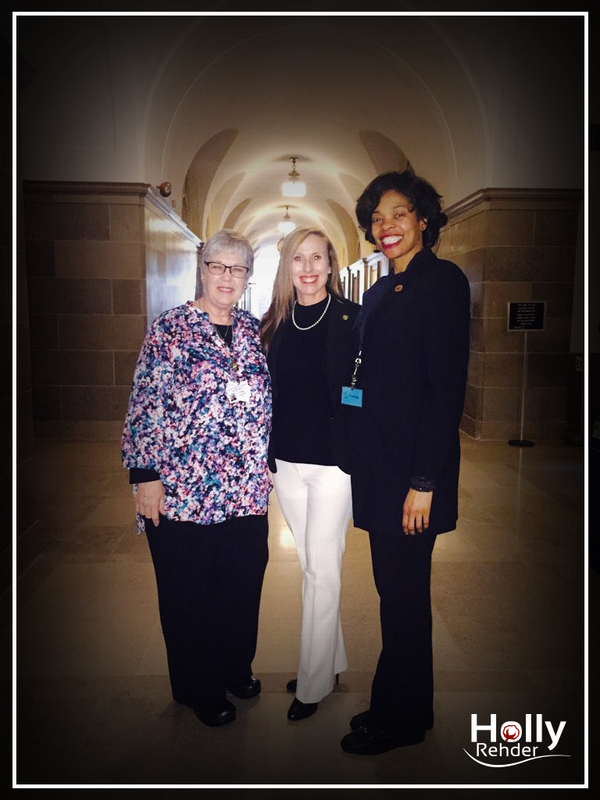 In order to help end Missouri’s reputation as the “Show Me Your Lawsuits State,” in February we took up and passed a piece of legislation designed to strengthen the state’s expert witness standards. This week we continued our tort reform efforts by approving a series of bills that would prevent what is commonly referred to as venue or forum shopping in Missouri. Specifically, the legislation would change state laws governing where lawsuits may be filed and whether suits can be joined together. The bills will clarify the venue laws in Missouri and ensure lawsuits are brought in the proper court. In 2016 there were 140 aggregated mass tort cases pending in St. Louis, with 8,400 plaintiffs in the cases having nothing to do with Missouri. The fix approved by the House will prevent lawsuits brought by out-of-state interests from moving to St. Louis simply by including a plaintiff from the city. In response to a Missouri Supreme Court decision that invalidated part of Missouri’s minimum wage law, we in the legislature are moving quickly to implement a fix that would provide a consistent wage in municipalities throughout the state. 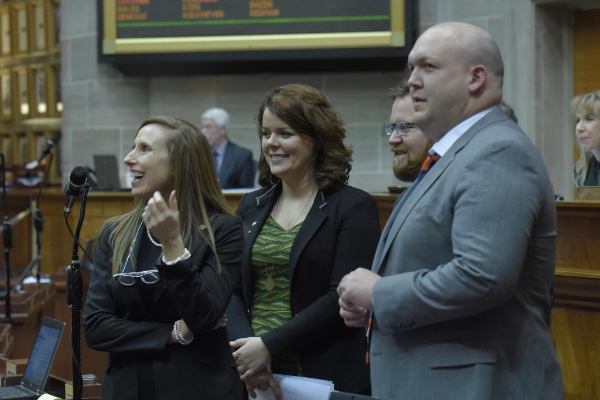 Our House approved legislation this week that would reaffirm that the state’s minimum wage is applied throughout Missouri, and keep the decision to raise wages in the hands of the employer and employee. While the state currently has a minimum wage that increases based on the Consumer Price Index, and is currently higher than the federal minimum wage, some municipalities have considered their own increases. St. Louis passed an ordinance to raise its minimum wage to $10 an hour this year and $11 an hour by 2018. The legislation approved by our House would preempt and nullify the minimum wage enacted by St. Louis, and provide that other municipalities cannot enact a minimum wage that exceeds the one established by state law. The bill will ensure it is not illegal for an employer to hire someone in accordance with the state minimum wage. The legislation approved by our House will protect job creators from being turned into criminals. A mandated increase in payroll would force businesses to either raise prices or cut costs by reducing the size of their workforce. In addition, it’s important to have a consistent minimum wage across the state rather than an inconsistent patchwork of wages that vary from municipality to municipality. Our House has advanced part of the policy platform laid out by House Speaker Todd Richardson, who called for the legislature to remove the unnecessary government regulations that stifle innovation and job creation in the state. We approved legislation to ensure government engages in the licensing and regulation of occupations and professions only when it is necessary to protect the welfare of the public. The bill we approved would establish guidelines for the regulation of occupations and professions not currently regulated by the Division of Professional Registration, as well as guidelines for substantially increasing the scope of practice of currently regulated occupations and professions. The bill would also specify that the state may not impose a substantial burden on an individual's pursuit of his or her occupation or profession unless there is an important governmental interest for the state to protect the general welfare. If an interest exists, the regulation adopted by the state would have to be substantially related to the public interest to be protected. 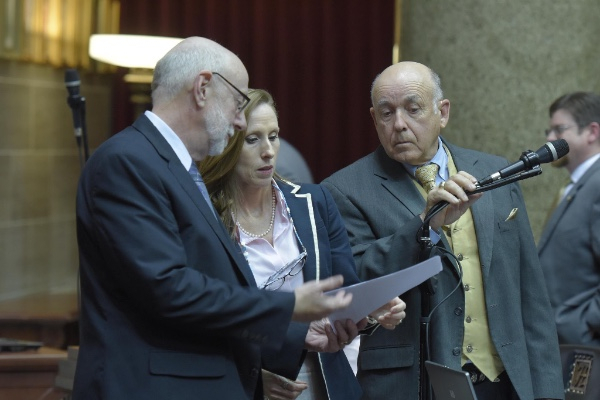 The bill also would establish a heightened level of review with specific criteria for all legislation that would seek to license an occupation or profession for the first time or to substantially expand the scope of a current professional license. Criteria would include determining whether unregulated practice could cause harm and endanger the general welfare, and whether the public could reasonably be expected to benefit from an assurance of personal qualifications. We believe the bill will reduce the burdens placed on individuals trying to practice their professions. It will ensure new regulations are put in place only when they are necessary to protect the public. Just one week after we took time to observe the state’s annual STEM Day, we gave bipartisan support to legislation that would establish a statewide program designed to promote careers in science, technology, engineering, and mathematics. The legislation is modeled after successful programs in Tennessee and Arkansas that have helped promote the importance of the STEM fields to young people. The bill would require the state Department of Economic Development to establish the STEM Career Awareness Program to increase awareness of careers in science, technology, engineering, and mathematics for students in grades six through eight. The program would involve online-based curriculum that would raise awareness of more than eighty different careers and technologies, and would be organized around the concept of solving societal or human-centered problems. The bill would require the department to have the program in place by the 2018-19 school year. Supporters of the legislation say it is critical to promote the importance of STEM careers in order to support the economies of the state and the nation. They say a lack of awareness of STEM fields is what is keeping many young people from pursuing careers in these areas. By giving students increased exposure to these careers, the state can better prepare the next generation of Missourians to succeed in the fastest growing job sector. The state of Missouri received good news this week as the state’s jobless rate continues to decline. 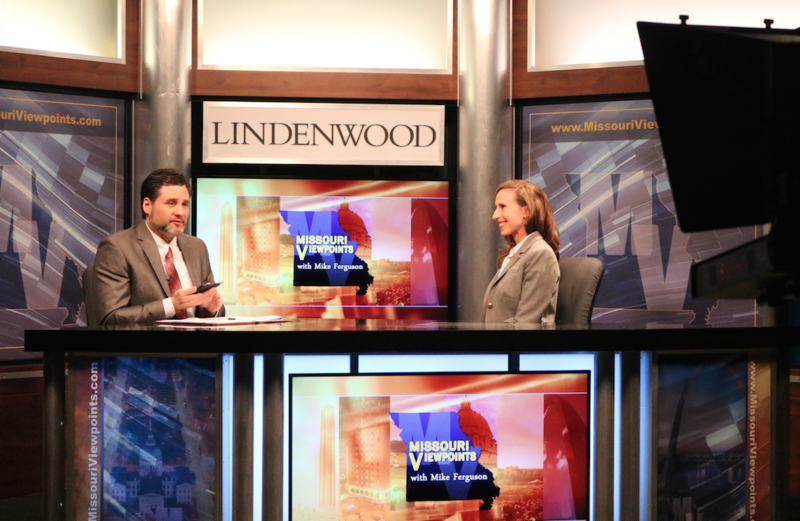 The Missouri Department of Economic Development released its latest data showing that unemployment dropped to 4.2 percent in January. The number is a decrease from the December rate of 4.4 percent, and is also lower than the 4.5 percent unemployment rate the state saw in January of 2016. The department’s data also shows an increase in the number of jobs in the state. Missouri gained 7,300 jobs from December to January. The state also has an additional 10,000 jobs when compared to January of last year. The state now has seasonally adjusted nonfarm employment of more than 2.97 million. 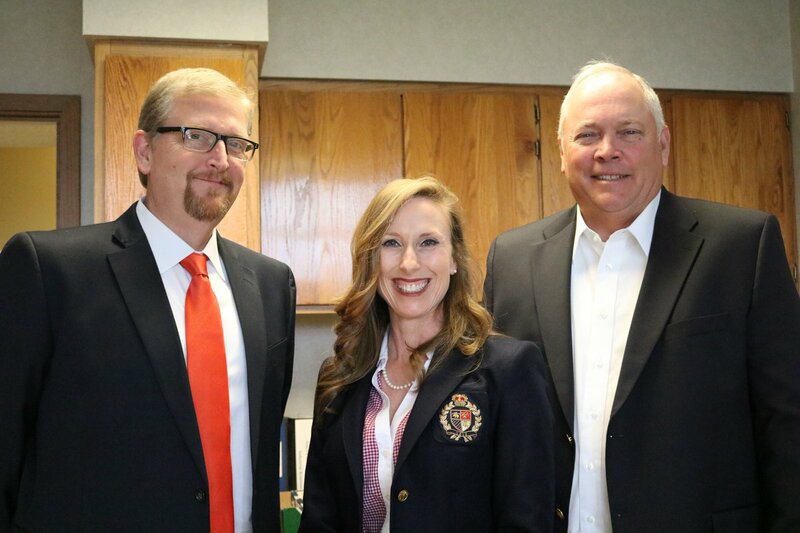 We joined Missourians across the state this week in wearing orange to raise awareness of multiple sclerosis. 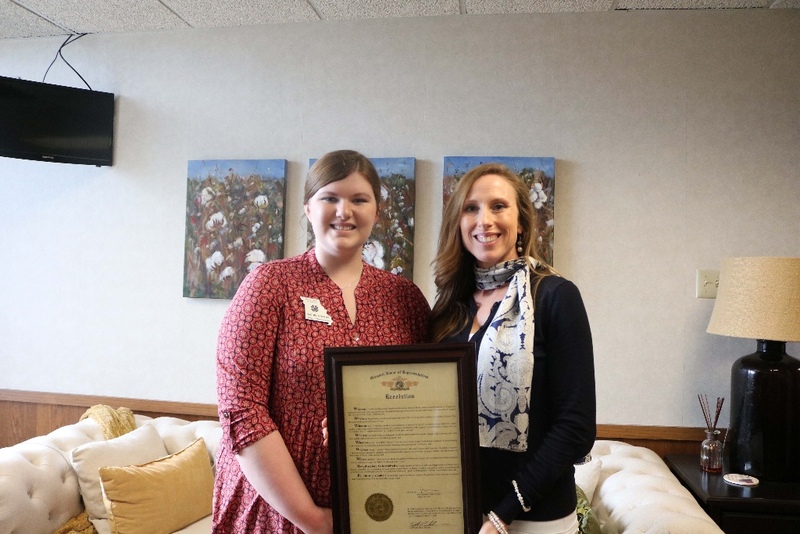 In 2015 the legislature approved HB 861 to designate the first full week of March each year as Multiple Sclerosis Awareness Week in Missouri. The week is designed to call attention to the need for additional research, care, and support for those living with multiple sclerosis. According to the Multiple Sclerosis Foundation, the disease affects more than 400,000 people in the United States, and about 2.5 million people worldwide. Approximately 200 new cases are diagnosed each week in the United States. Multiple sclerosis is an unpredictable, often disabling disease of the central nervous system that disrupts the flow of information within the brain, and between the brain and body. Symptoms range from numbness and tingling to blindness and paralysis. 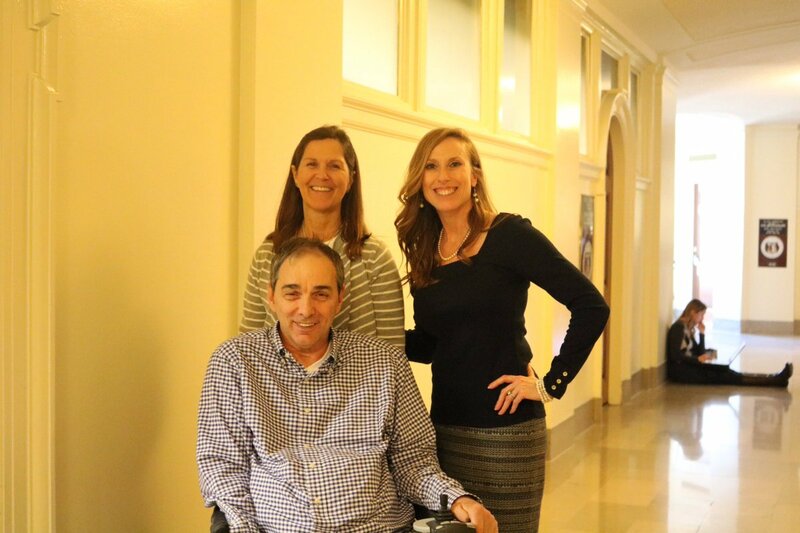 The progress, severity and specific symptoms of MS in any one person cannot yet be predicted, but advances in research and treatment are leading to better understanding and moving us closer to a world free of MS. Most people with MS are diagnosed between the ages of 20 and 50, with at least two to three times more women than men being diagnosed with the disease. 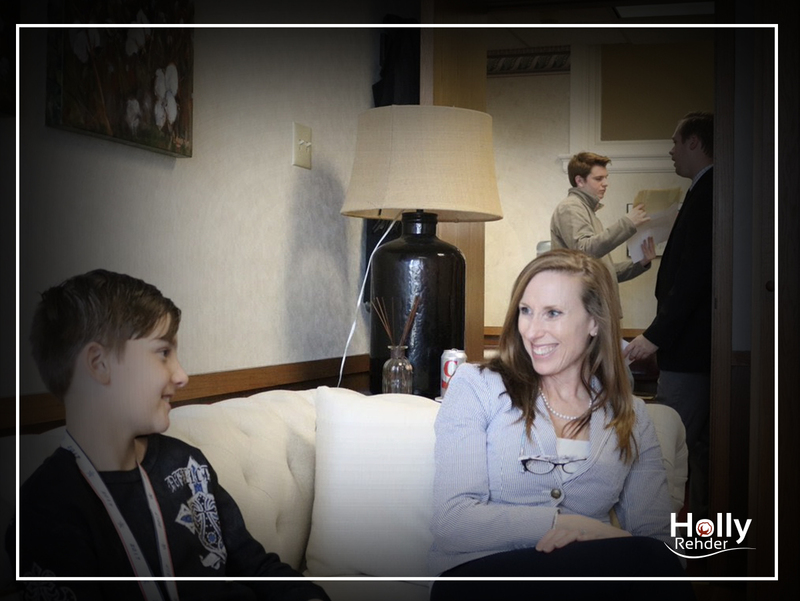 Thank you Johnathan and Shaelynn from East Prairie for coming by! 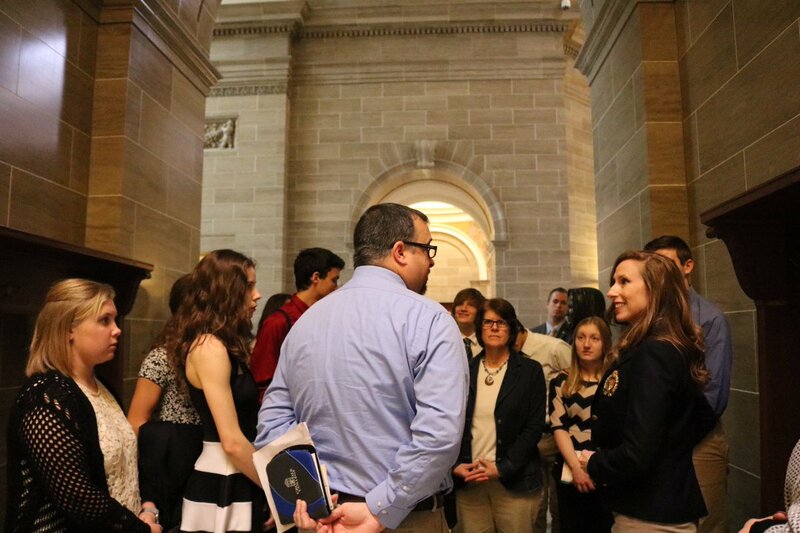 I always enjoy having my friends in the Capitol. 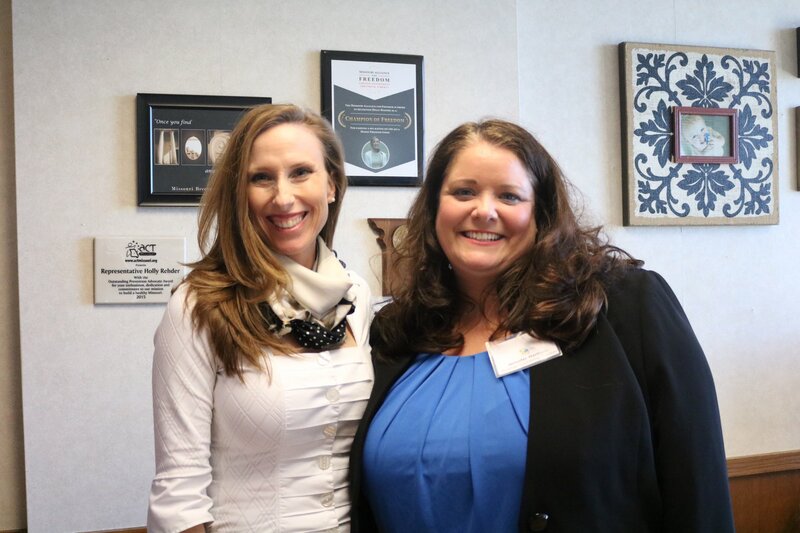 Thank you Jennifer Hartlein for coming by Tuesday! It was so good to see my friend Andrew Rehfeld with the Jewish Federation of St. Louis in the Capitol! was here educating legislators on the need for PDMP in MO. I was so excited to see their shirts and enthusiasm! 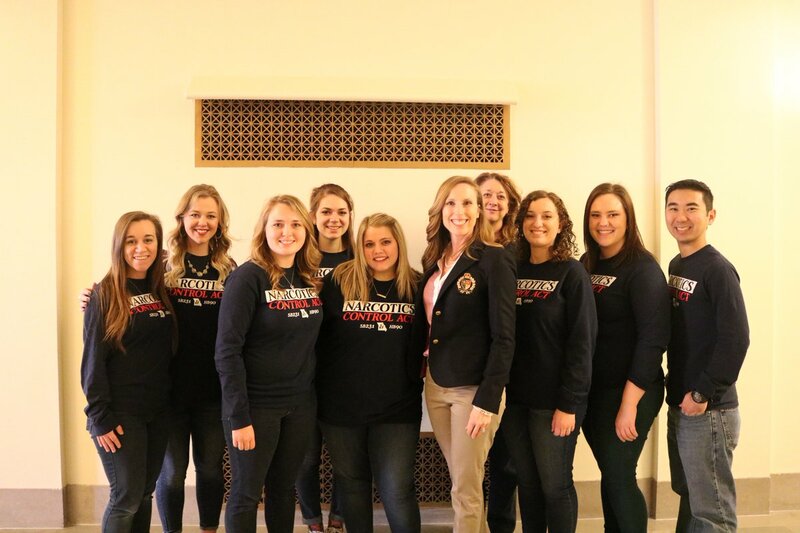 I had the pleasure of welcoming a group of students from Newton County interested in medical professions. On their lobby list: PDMP! Always enjoy seeing our guys! They were working the halls for Travis Fitzwater's bill on Net Metering. 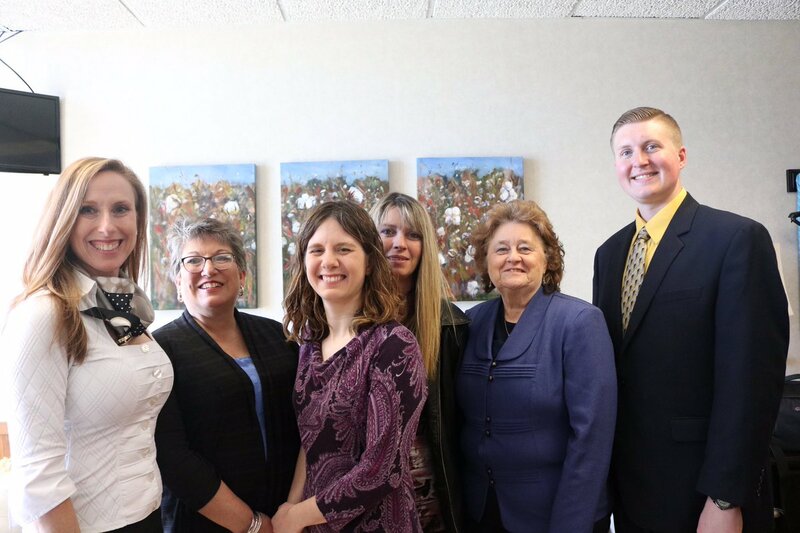 Enjoyed visiting with Emergency Nurses Association. I was very honored to have those in the trenches of this epidemic working the halls for PDMP!